Majid Al Futtaim, a leading shopping mall, communities, retail and leisure pioneer across the Middle East, Africa and Asia, has announced that the AI-powered Omega platform will be rolled out in the region for the first time in English and Arabic through Majid Al Futtaim’s Carrefour and Vox Cinemas brands in collaboration with US-based firm I.AM+. The Los Angeles-based technology company has chosen the Middle East as its English version launch market, following the partnership announcement with Majid Al Futtaim at the World Economic Forum last month. Majid Al Futtaim will introduce the AI-powered voice assistant to its customers this year, enabling an entirely new level of experiential retail at various customer touchpoints when shopping for groceries or booking movie tickets. The I.AM+ Omega platform, customised for Majid Al Futtaim customers, will engage consumers in localised conversational and contextual style interactions, available in English and Arabic, delivering deep cross domain knowledge for a seamless customer experience. 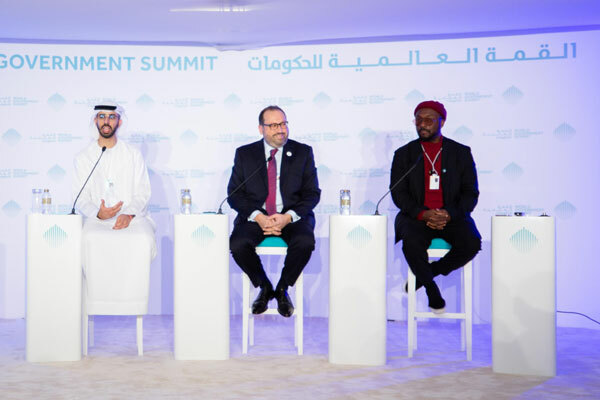 The announcement was made at the seventh edition of the World Government Summit in the presence of Omar bin Sultan Al Olama, UAE’s Minister of State for Artificial Intelligence. In line with Dubai’s growing reputation as a global hub for innovation and technological advancements, the introduction of the I.AM+ Omega platform is testament to the continually growing appeal of the region and the UAE as an entry market for international businesses. “We provide our full support to such initiatives that advance the agenda and vision of Smart Dubai 2021 and we look forward to celebrating the success of this partnership in due course,” he added. With an average of 33 apps installed on smartphones, research indicates users only use three apps 80 per cent of the time. Command driven, non-conversational technologies lead to lower usage rates and poor retention. The I.AM+ Omega platform will address a rising gap between what consumers want from their smartphone applications and the current level of satisfaction that they experience. “Our partnership with I.AM+ indicates our commitment to pushing customer-centric solutions and ensuring that people in our region experience the true potential of AI and the opportunities of voice technology. We are excited to bring to life the Omega platform across our brands this year,” he added. “We recognise tremendous potential in this region as it holds one of the highest internet penetration levels in the world. Majid Al Futtaim is the leading lifestyle conglomerate across the region and is the ideal partner given the common vision we share to use technology for better human experiences,” he added. Consumers will be able to utilise Omega’s voice computing technology which understands context and is proactive in anticipating needs based on historical data. The technology is designed to support simultaneous multi-tasking use that combines features extracted from different modalities such as text, audio and image, allowing for seamless fusion of voice and user interface across multiple devices. Another differentiating factor for the Omega platform is the privacy and customer data protection the technology enjoys. In January, as part of the partnership announcement with Majid Al Futtaim, I.AM+ also announced Majid Al Futtaim as the first retail conglomerate to be a member of the Accommodation and Retail Coalition (A.R.C. ), a confederation of travel suppliers, retail brands and service providers who will offer a neutral voice AI platform to consumers that is private by design. The coalition is intended to embrace the opportunity of voice technologies and address the challenges, collectively, to deliver a world-class AI experience for customers. Majid Al Futtaim’s digital transformation journey is driving the company’s ability to merge physical and virtual experiences in a number of ways. The company continues to add digital dimensions to its business, enhance its seamless omnichannel offerings, and revolutionise its data and analytics capabilities.